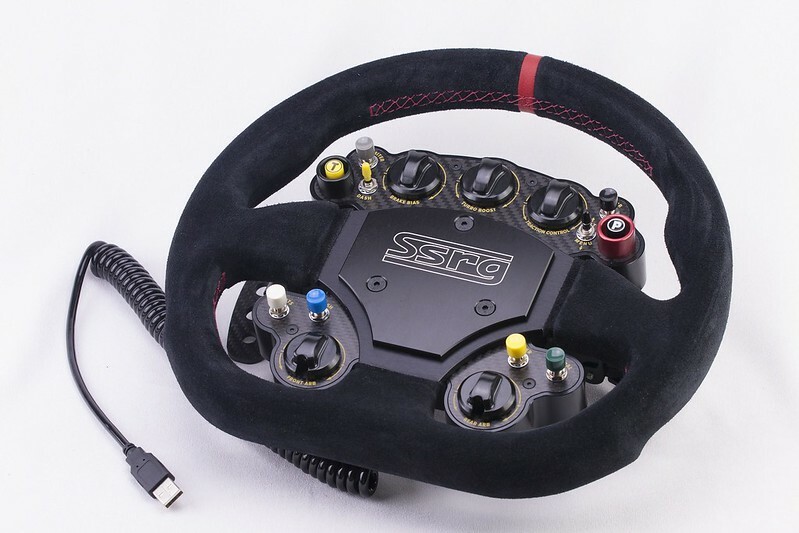 SSRG, which is short for Solid Sim Racing Gear, is a Dutch company founded in July 2016 in Hoogezand the Netherlands. 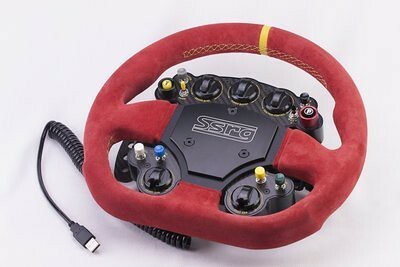 SSRG owner Johan Draijer specializes in the production of high-end sim racing hardware. One of the high-end SSRG products is the Competition 300 Wheel. The SSRG Competition 300 is a beautifully engineered custom 300 mm diameter Sportline racing wheel fitted with a black hard anodized button case with a carbon fiber front plate. The button box features a set of Knitter switches, Rotary encoders, and Toggle switches. 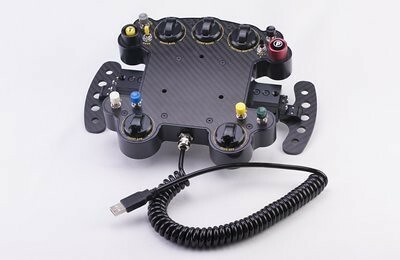 Furthermore, the Competition 300 is fitted with a Magnetic Paddle Shifter set. The wheel’s electronic functions are provided by use of a Leo Bodnar BBI32 USB controller. The wheel rim and some of its parts are available in a variety of custom colors. On the web shop, you can select the color of the wheel Suede, Button Guards, and the Encoder Knobs. 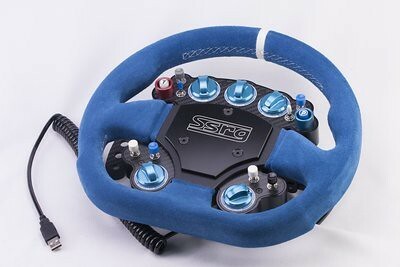 Optionally, SSRg also retails a Q1R base and wheel side Quick Release for the wheel. You can order the SSRG wheel here. For options and availability, you can email SSRG.